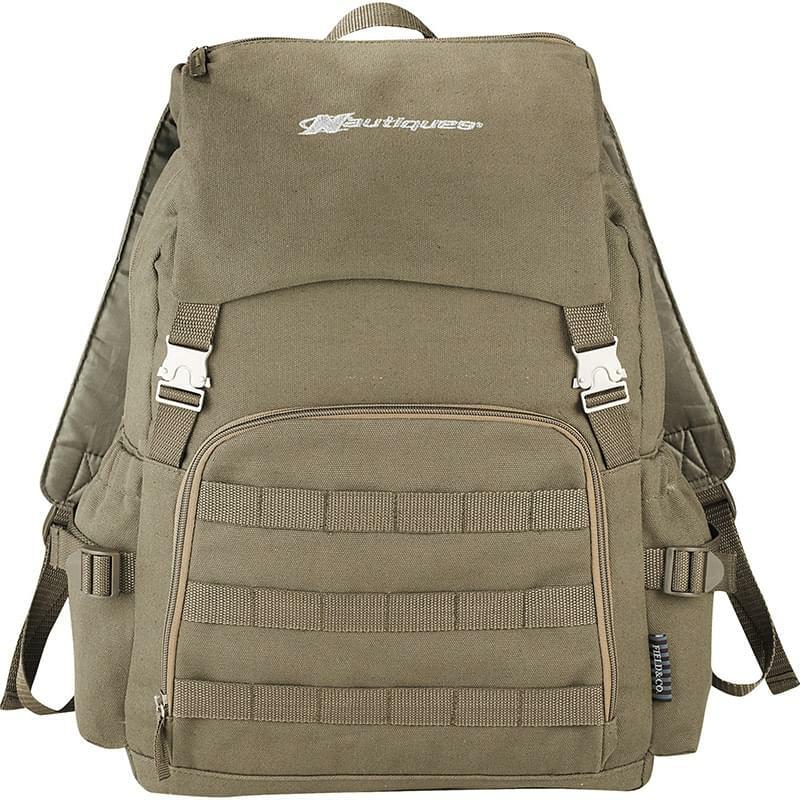 The Field & Co.™ Scout computer backpack takes its styling from a vintage military look, but the bag is designed to fit the latest tech including up to a 15.6" laptop and tablet, including iPad. Large main compartment and zippered pocket on the top flap let you stash all your extra gear. Elastic fabric pockets on the sides. Zippered front pocket with deluxe organization. Webbing details on the front add additional functionality so you can clip whatever else you need to bring with you. Padded backpack straps attached to metal loop on the back for stability. Unique Field & Co.™ vintage branding elements and hardware.